Disclosure: I received the following for review from Kolcraft. All opinions are my own. Potty training. It's a difficult process (at least for me) but is so rewarding. With Kenzie, I tried early however we ended up waiting for her to be ready for it to be successful. I want to share 5 Potty Training Tips that worked for her and will hopefully work for Mason. This is more tough for the parents that the child. I was surrounded by my friends who potty trained their child at one year or soon thereafter. I constantly felt pressured to get Kenzie on it but with a full-time job out of the home and mad traffic that sucked all the hours of the day away from me, it was difficult to be consistent with her. However, when she finally showed independent interest in using the potty as well as insisted upon no more diapers, it worked like a charm! I do admit to slapping a diaper on her at night for about 3 months straight (in which she woke up dry) for my own sanity. One thing I've noticed with both kids is that they were deathly afraid of the potty ring that goes on top of the regular toilet. Kenzie grew out of that fear and used the potty ring like a pro but in the beginning there was some innate sense of falling in the toilet because her feet dangled. When Mason saw the Sesame Street Elmo potty he immediately started playing with it, dragging it around and taking it apart. It's nice that the portability allows it to be taken from room to room. The flush sound is a hit! He sat on it, turned around and sat on it backwards and even dumped toys inside. At least he's showing interest right? I'm sure potty training a girl is different than a boy so the Kolcraft Stand Up Trainer will be interesting. 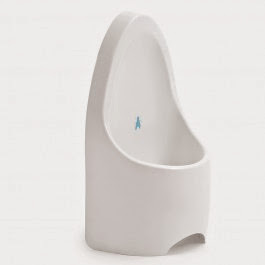 It's one piece so easy to clean and looks just like an adult urinal. Ironically, Kenzie was showing Mason how to "use it" and he imitated her moves with his pants on. It was hysterical so I'm going to leave it up to Hubs to train him on this. I tried oh so hard to stay away from this one but one's failure could also be seen as success. I bribed Mason with a piece of Halloween candy to sit down on the toilet without his diaper. He was running around sans diaper for a bit until I gave him the candy to hold. After about 10 minutes of just sitting and playing around, he dumped a toy into the toilet bowl. When I reached to fetch it out, I felt liquid - boom! He went pee and I did the happy dance....ok the entire family did the happy dance. I'm not saying to use candy all the time but there is nothing wrong with a small reward that your child likes to give encouragement. Children get excited over achieving the smallest task so why not give extreme praise for going to the potty? If they are happy and see that you are happy, they will want to make you more happy. It seems cyclical that a child would want praise for each "event" but it works. Even to this day, Kenzie gets excited about certain qualities of #2 when she goes and has to inform us, of course. When we do the happy dance for Mason to go in the potty, he gets giddy and joins in. It's really a small effort that leads to awesome success. I can't tell you the numerous times we have had to pull off and hunt down a restroom when Kenzie had "to go". It's much easier to pull off on a road and open the trunk and let your child go in the portable toilet because they really do not know the meaning of holding it yet. Just keep extra ziploc baggies and wipes in your trunk for quick cleanup. SHOP | Facebook | Twitter! One winner will Receive Choice of Sesame Street Elmo or Abby Cadabby Potty! I would choose the Elmo potty and my best tip is to wait until THEY are ready, don't push them into using the potty! I would choose the Elmo potty, I think the stand up urinal is great as well. My tip you covered but it works! Praise, sometimes we verbally praise and sometimes we give little gifts. I would love the Elmo potty! My best tip would be not to push it if your child is not ready! We did with my oldest and it became a nightmare! I really like the Elmo potty, my best tip is to be patient and do not assume that it will be easy to do. we would love the abby cadabby seat. 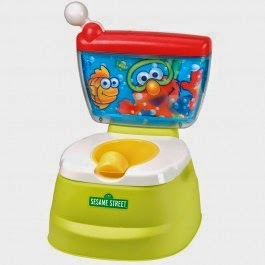 I would choose the Sesame Street Elmo Adventure Potty Chair for my nephew. My best tip is to be patient and prepared for mistakes. I would choose the Elmo potty chair for my great nephew. I agree with encouragement and a treat if they perform the task. 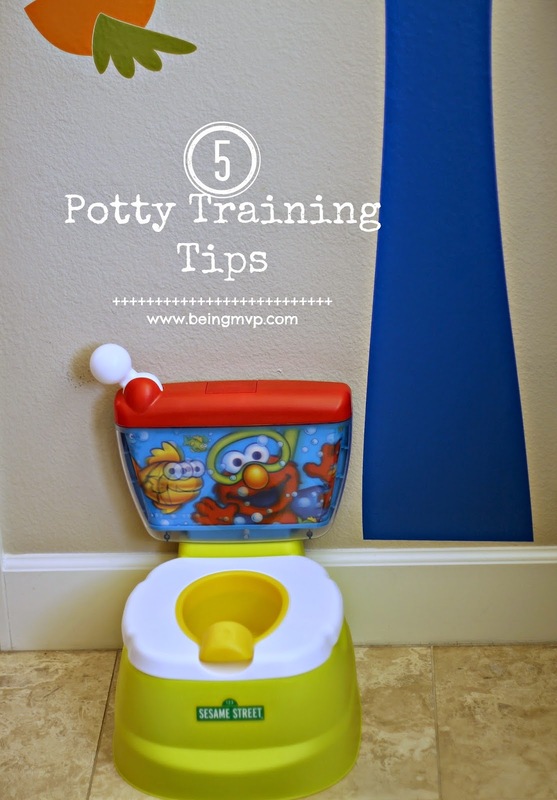 I love the elmo potty.staying on routine helped my daughter with potty training. I would choose the Elmo potty. My tip would be not to start until they are ready. My kids were about 2 1/2 years old before they were ready. Sesame Street Elmo Adventure Potty Chair for my son.